Watching The Nutcracker is something my family does every December together. 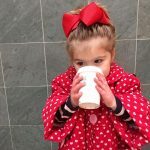 It is a tradition started by my mother and carried on into my own motherhood. 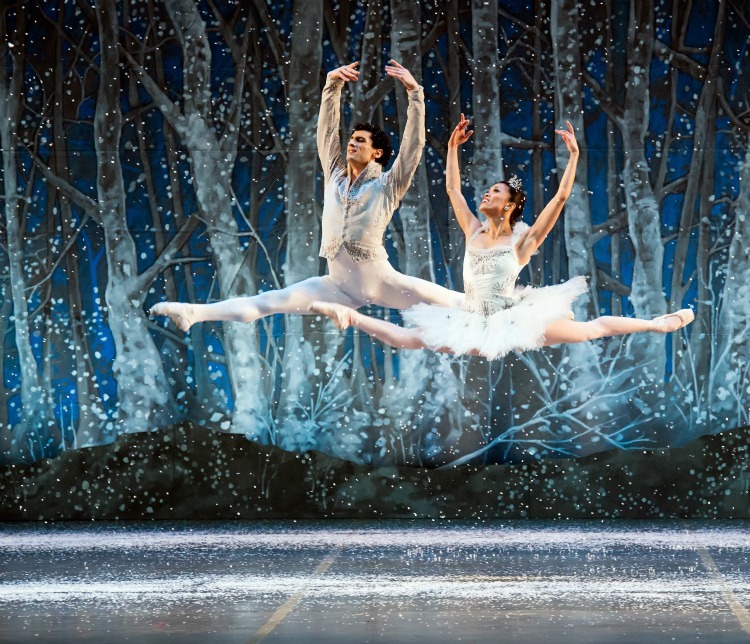 We can’t get enough of The Nutcracker. Mike loves the music and the kids and I are enchanted by all of it. 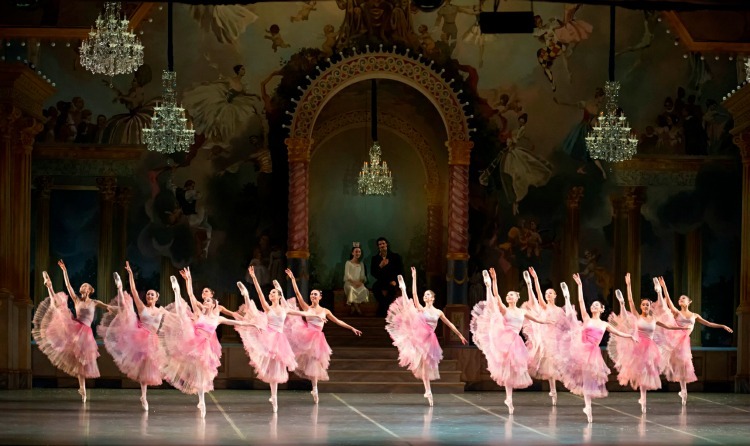 This year, tickets Boston Ballet’s The Nutcracker are at the top of my wish list. Malone isn’t quite old enough to go, so I don’t think we’ll make the trip into the city. 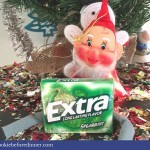 But next year, we are totally getting there. I’ve taken a look at the photos and they are breathtaking. I can only imagine what it must be like to sit in the audience there! If you’re wondering, make sure you get to the bottom of this post, because I’ve got a flash giveaway happening! 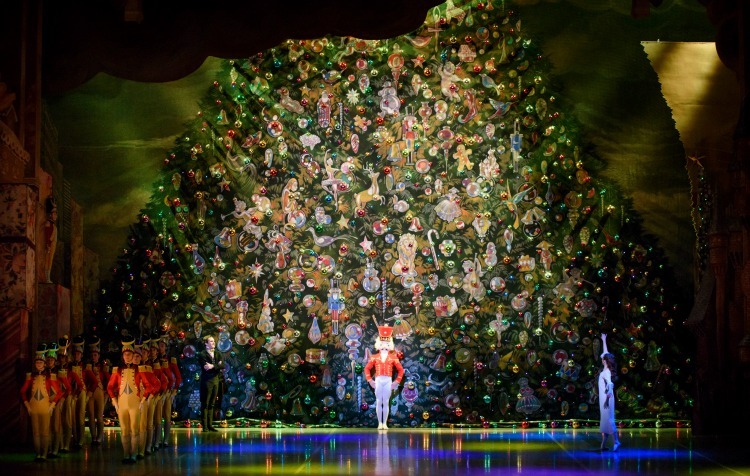 Wondering more about Boston Ballet’s The Nutcracker? 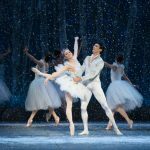 Delighting audiences of all ages with a sense of youthful imagination, Mikko Nissinen’s The Nutcracker returns to the Boston Opera House from November 27–December 31, 2015. Celebrated as “elegant and theatrically striking,” this completely re-imagined production premiered in 2012 and has received praise from audiences and critics alike (Alastair Macaulay, The New York Times). With “sleek, bejeweled costumes and spacious, regal sets” by Robert Perdziola and all-new lighting design by Finnish-based Mikki Kunttu, this timeless holiday classic features the full company of 68 dancers along with more than 200 Boston Ballet School students (Thea Singer, The Boston Globe). Since its world premiere in 2012, Mikko Nissinen and Robert Perdziola’s re-envisioned production, set in what many know as the Jane Austen era of the early 1800s, has gained record-breaking popularity. 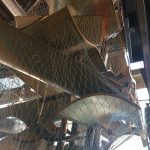 With more than 350 handmade costumes and a series of elaborate sets featuring extensive amounts of moving scenery, the production has transformed into a uniquely magical experience for audiences of all ages. This year’s production features all-new lighting design by award-winning Finnish lighting designer Mikki Kunttu. Kunttu has worked extensively in the area of dance and theatre, collaborating with artists such as Tero Saarinen and Jirí Kylián, and designing for several prestigious dance companies, including the Finnish National Opera Ballet, Norwegian National Ballet, and Royal Danish Ballet. In the past, Kunttu has collaborated with Boston Ballet as lighting designer for Marius Petipa’s Sleeping Beauty (2005) and Jorma Elo’s Carmen (2006). Kunttu’s lighting design has brought him international acclaim, including the Bessie Award (2006) and the Venla Diploma of Merit (2010). Praised for his “dramatic” aesthetic, Kunttu brings a fresh, innovative perspective to this classic holiday story (Robert Greskovic, The Wall Street Journal). 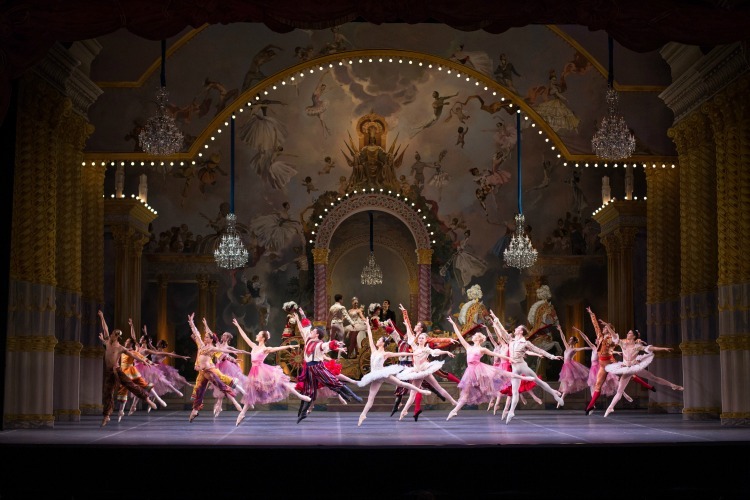 The Nutcracker includes the full company of 57 dancers, 11 Boston Ballet II dancers, and 217 Boston Ballet School students. The 42-performance run will feature many never-before-seen casts, showcasing the vast talent within the Company, and providing many opportunities for dancers to shine in Soloist and Principal roles. Each performance will be accompanied by Tchaikovsky’s renowned score, performed by the Boston Ballet Orchestra, led by Principal Conductor Jonathan McPhee. Boston Ballet has gifted me with a family 4 pack of tickets to The Nutcracker for Sunday December 13, 2015 at 1:30 pm. To enter, use the widget below. This is a flash giveaway that will end Wednesday December 9 at 11:59 pm. I plan to take my wife and two little boys, ages 2.5 and 4! I would love to take my two little sisters to see the Boston ballet. I would take Alice and Stella, of course! Nancy recently posted..Escape from Here. I would take my daughters! I swear I answered this. I’d love to take my daughter, Emily and my Husband. Em’s been dancing since she was two, and I think she would LOVE this. thank you for the change, NJ! OMG, I haven’t been since I was 8, would LOVE to bring my boys!